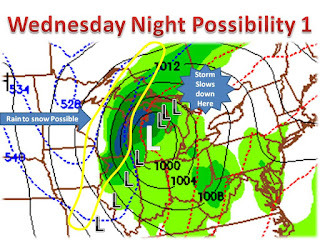 In this possibility, a major snowstorm would occur in the midwest. 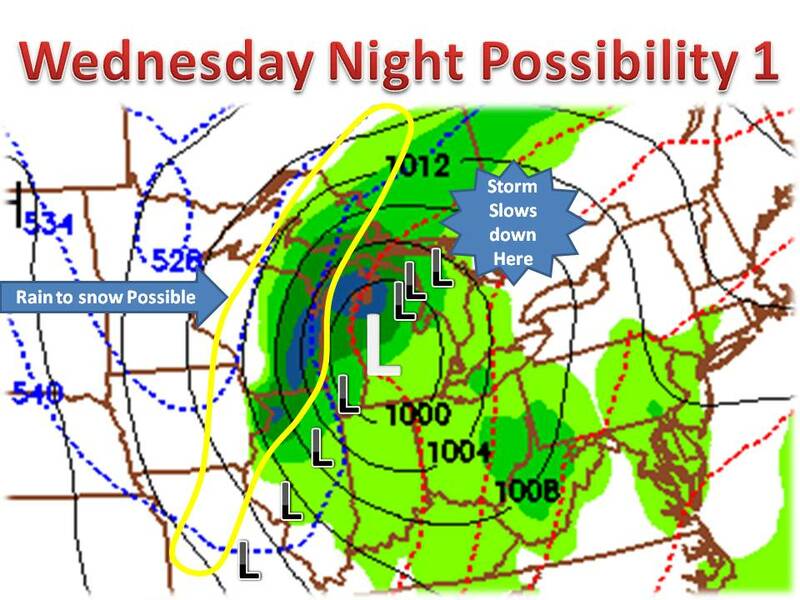 Rain would break out on wed. and change over to snow at night, where 2-5" in the outlined area and 4-8" in northern IL and WI would be very likely if this model holds true. This is the more reliable model (GFS, american model) but that is not say it will surely happen. It will all come down to the track of the storm. Keep it here to midwest weather talk throughout the week for updates!